General O.P.D. clinics provide treatments for general ailments. Doctors refer patients to specialist clinics when necessary. In addition to the treatment of common childhood diseases, Behbud has a special program for children with cerebral palsy and epilepsy. Patients’ blood pressure and sugar levels are monitored regularly and consistent treatment is provided to manage their conditions. Men, women and children are treated for a wide range of skin afflictions including wounds and burns. The genecology clinic caters to a range of problems including pre and postnatal checkups, infections and infertility. The objective of T.B dots clinic is multifold: firstly, it raises awareness in communities around Clifton and Mehmoodabad areas. Secondly, it tries to achieve 85% cure rate (set by W.H.O) by detecting T.B cases at an early stage, diagnosing and treating the patients. Finally, an effort is made to prevent the spread of Multi Drug Resistant (MDR) T.B. by ensuring the completion of treatment. Asthma patients with asthma and chest infections are also treated in the TB clinics. The Population Welfare Project caters to women and children living in the areas of Mehmoodabad, Manzoor Colony, Lines Area, Sultanabad, Bizerta Lines, Qayyumabad and Shireen Jinnah Colony. PWP operates seven centers each managed by a Lady Health Visitor, a motivator and a helper. The following vaccines are administered: BCG (T.B. ), OPV (Polio), Pentavalent (Whooping Cough, Diphtheria, Tetanus, Hepatitis B and Influenza), Measles, Tetanus and Pneumococcal vaccine for protection from Pneumonia, Meningitis and I.P.V. Advanced dental procedures are performed at a fraction of the cost including root canals, filling, crowning, cleaning, polishing, tooth extraction and dentures. The dental clinic is also open to men. The eye clinic is run in partnership with L.R.B.T. Patients requiring advanced treatment are referred to the L.R.B.T. Hospital in Korangi. A trained psychotherapist helps patients cope with anxiety and depression. Clifton and Mehmoodabad Centres handle all children under 12 years of age. The attendance at this clinic continues to grow. Children with special needs or with nutritional problems are given Pediasure or milk, but more importantly mothers of these children are regularly counseled about proper hygiene and nutrition. 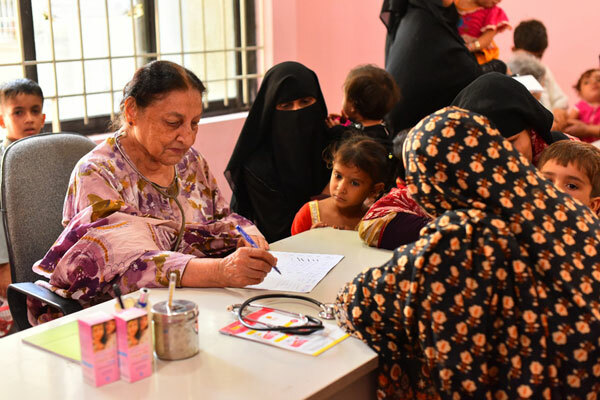 Behbuds TB Clinic is a success story in Karachi, Pakistan which helps keep girls like Shehrbano who is seventeen years old, healthy and free of tuberculosis (TB).The clinic is open for both women and men. 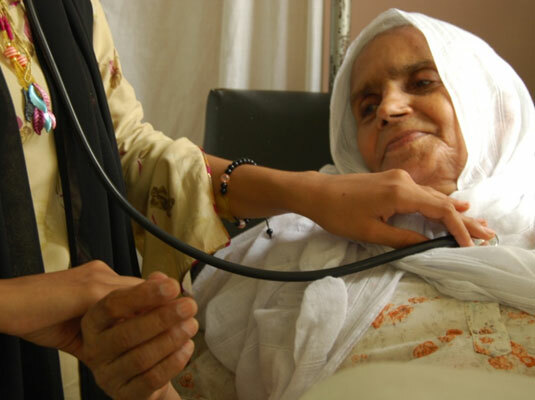 Shehrbano’s mother grew up in poverty, and had to leave school as a child to take care of her siblings…..
Islam Bibi had been having persistent cough and fever for 3 weeks. Six months earlier, she had received T.B. treatment at another hospital.However, her T.B. test at Behbud’s Health Clinic was positive and she was started on Anti Tuberculosis Treatment (ATT) for 8 months. After constant monitoring, she showed remarkable improvement and has since been declared free of tuberculosis.